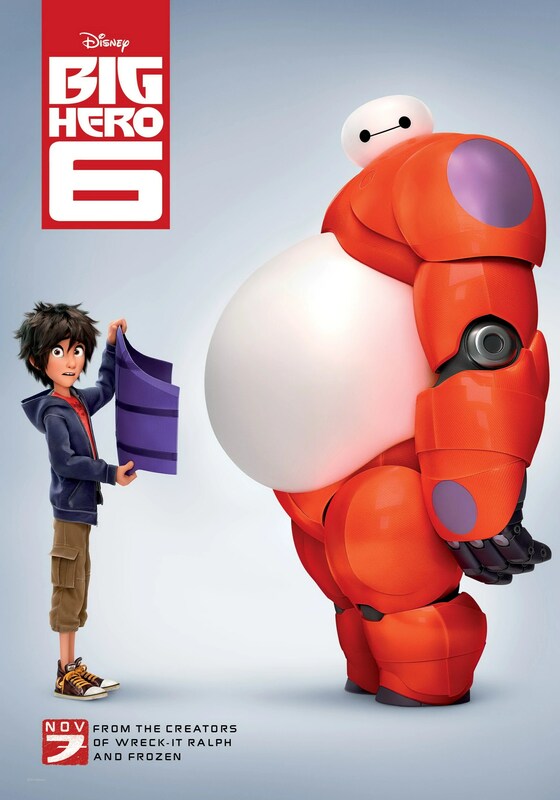 I just came back from seeing Big Hero 6, Disney’s latest offering loosely based on a Marvel series of the same name. 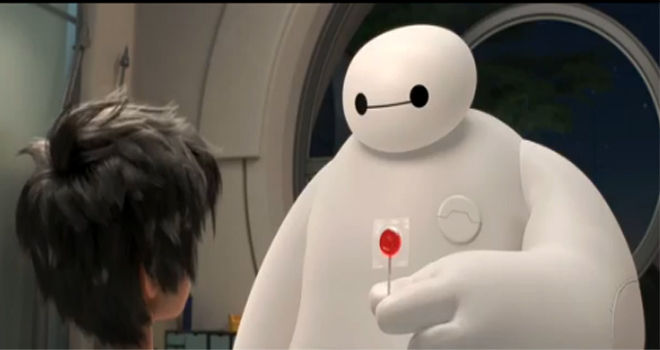 Taking place in the San Fransokyo megalopolis and featuring technology not far off from Popular Science concept art, the story follows young technology whiz Hiro Hamada (Ryan Potter) in his quest to avenge his brother Tadashi’s (Daniel Henney) death with the help of Baymax (Scott Adsit), a “healthcare companion” robot invented by his late brother. In contrast with the rest of the world’s technology, which is sleek, fast, and colorful, Baymax is fat and white– his inflatable vinyl body was designed by Tadashi specifically to be huggable and comforting– and moves at a gentle, deliberate pace. Baymax’s body, his true self hidden under the armor and intent that Hiro creates for him, is an anomaly among fat film characters. Baymax is fat for a reason. I don’t mean that he was drawn fat as shorthand for a characteristic such as hedonism or sloth. As previously mentioned, his creator specifically designed Baymax to be cuddly as part of his role as a healer, but he also saves Hiro’s life by cushioning his fall. Later in the film, Baymax saves the entire team by acting as a flotation device, abandoning his heavy battle armor to do so. Bear in mind, this film highlights how bodies and their augmentations act as instruments to achieve goals; even ingenuity, one of the main values that the protagonists must embody to win the day, is referred to as “using [one’s] big brain.” And in this context, a fat body is shown as having unique and valuable attributes to contribute. That’s huge. (Pun partially intended.) However, Baymax is– with the exception of a minor antagonist at the beginning of the film– the only fat character in the movie. 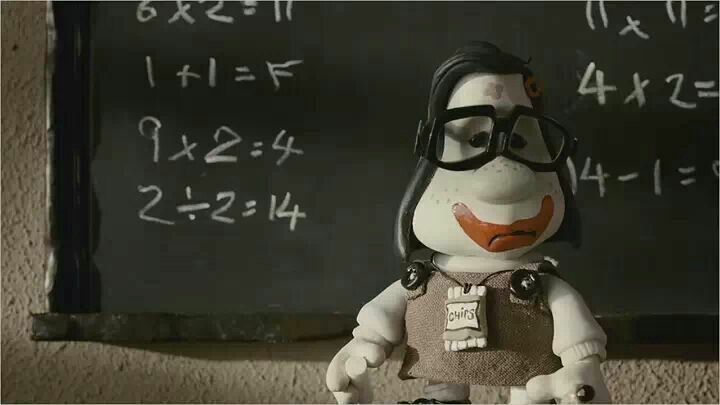 His fat body is manufactured, and given an unrealistic dimension by being inflatable. Baymax’s body is outside of factors that fat human bodies are judged by, such as perceived health and measurement against normative standards of attractiveness. An inflatable robot is a much safer choice for a fat hero than a fat human, but having a film where a fat character’s body is validated is a significant paradigm shift, even if that shift requires futuristic technology to happen.